Tia is a beautiful bay mare by Diamant de Semilly and having had a foal by Super Trooper de Ness in 2011 she commenced her competition career in 2012. She is now jumping double clear in Newcomers, and has jumped her first few Foxhunters with Steven Franks and looks like a real star for the future. 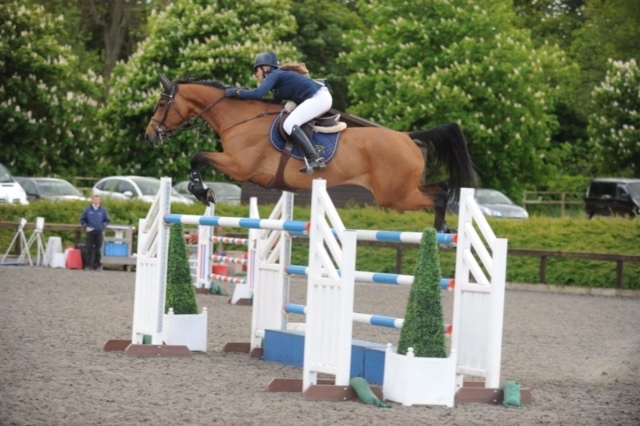 NICOLE PAVITT TAKES OVER THE RIDE ON TIA SEMILLY AND WON THE NEWCOMERS AT BURY FARM 23/10/13.